Shopping the world for unique furniture and homewares offering exclusive pieces to their loyal clientele. Trilogy’s products are sourced from Europe, Australia and Asia, ranging from the soft hues of timber to the unyielding strength of iron. Every Trilogy piece is a statement of elegance and individuality, built to last a lifetime. 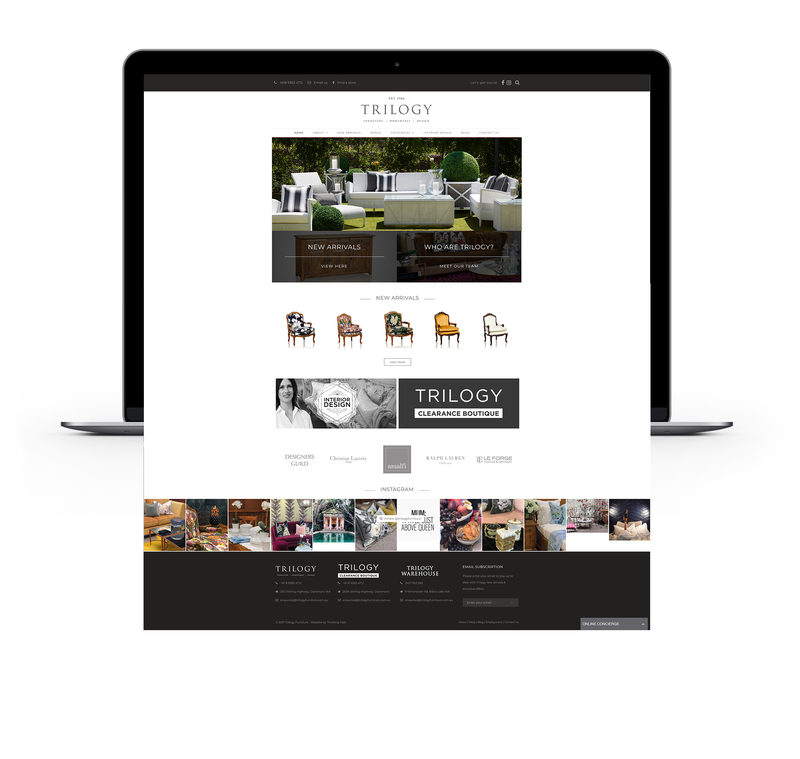 Keeping all this in mind, Thinking Hats created a simple, yet classy logo for Trilogy and implemented this look and feel into the entire catalogue of communications including press publications and the new website.